And unlike the alleged author of that palindrome, I was able to remain so. Fun Fact: The above cited witticism was first printed in a US publication attributed to one J T R of Baltimore about thirty-four years after Napoleon arrived here. 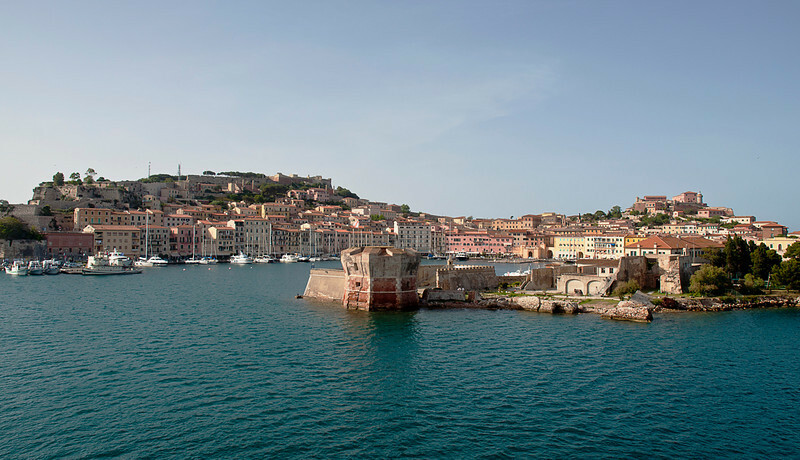 After attacks by the Barbary pirates, in 1546 part of the island was handed over to Cosimo I de' Medici, who fortified Portoferraio which you see on ocean approach.